I had a flu bug this weekend, and it is that flu bug that I have to thank for having a “Happy Dance” weekend! A little virus had me sitting more than usual, and to combat boredom, I started ‘hunting’ on the Internet for ancestors and their siblings! 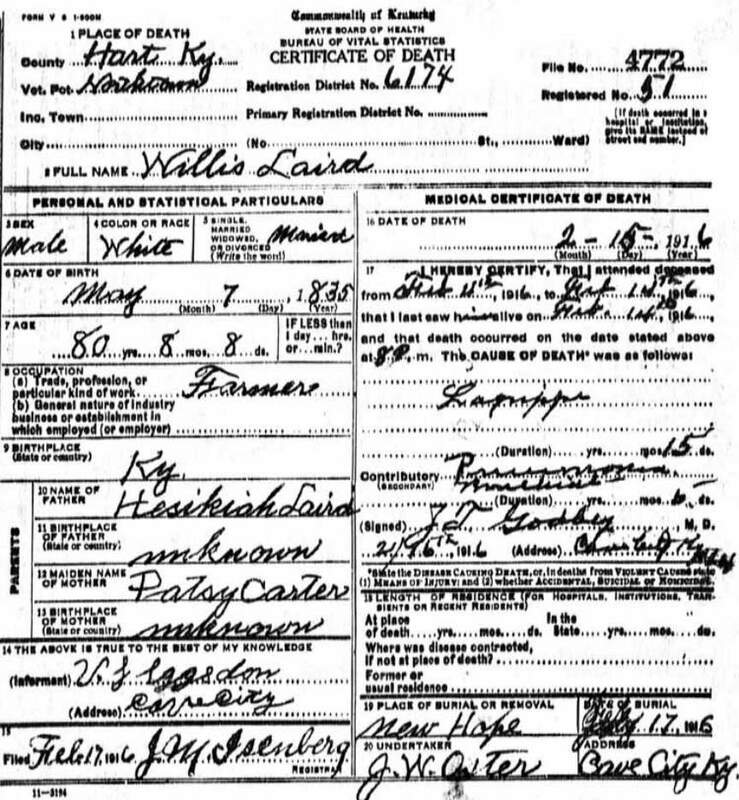 Thanks to the virus, I don’t remember exactly how I arrived at this wonderful Kentucky website, but I’m not sure I had ever been to this one before, and if I had, it has a lot of new ‘stuff’ on it, including my Gr-gr-grandmother’s brother, Willis Laird’s death certificate! According to the website, Willis’ first name is actually Jesse, and though his death certificate doesn’t state that, his tombstone does. Comparing the dates on tombstone and death certificate help verify that they are one and the same. Signed: J. T. Godby, M. D.
What a lot of information is contained in this death certificate! I know that Willis was living in the Cave City area, and that he died 4 years after his sister Elizabeth Laird Jones Crabb did. 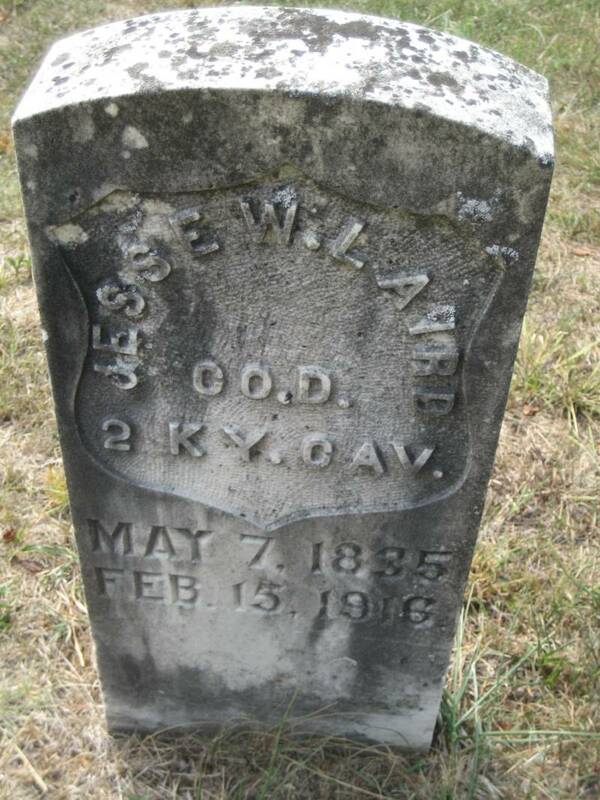 I know what cemetery Willis is buried in, and luckily enough (and thanks to the Southern Kentucky volunteers) also have a photograph of the tombstone as well as photographs of the cemetery and church there, and will be sharing links to that soon! Thank you Kentucky volunteers! I’m still doing a Happy Dance!